WASHINGTON, DC, March 4, 2011 (ENS) – Arch Coal Inc., the second largest producer of coal in the United States, has agreed to pay a $4 million dollar penalty for alleged violations of the Clean Water Act in Virginia, West Virginia, and Kentucky. A joint federal-state complaint filed in U.S. District Court in West Virginia by the United States, West Virginia, and Kentucky alleged numerous violations of Arch Coal’s permits that set limits on pollutants to be discharged into streams. Deficient operation and maintenance of wastewater treatment systems at four Arch Coal mining facilities: Coal Mac, Inc; Lone Mountain Processing, Inc; Cumberland River Coal Co.; and Mingo Logan Coal Co., allowed excess discharges of iron, total suspended solids, manganese and other pollutants, the complaint alleged. Under the settlement, Arch Coal will implement changes to its mining operations in Virginia, West Virginia and Kentucky to ensure compliance with the Clean Water Act, the U.S. Environmental Protection Agency and the U.S. Justice Department announced Tuesday. “Violations at mining operations can have significant environmental and public health consequences, including the pollution of the waters that people use for drinking, swimming and fishing,” said Cynthia Giles, assistant administrator for EPA’s Office of Enforcement and Compliance Assurance. “It is critical that companies operating next door to homes, schools and other businesses meet the standards established to protect the health and the environment for these communities,” said Giles. As part of the settlement, Arch Coal has agreed to take measures that will prevent an estimated two million pounds of pollution from entering the nation’s waters each year. 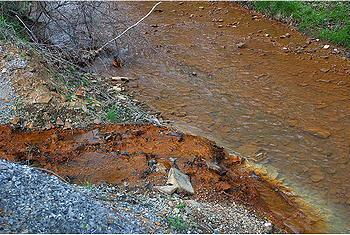 Mining discharges impair streams and watersheds. These impairments include high levels dissolved solids, and sulfates, which have detrimental impacts to aquatic life, according to the EPA. Arch will be required to implement a treatment system to reduce discharges of selenium, a pollutant found in mine discharges. Selenium runoff from mining operations can build up in streams and have an adverse impact on aquatic organisms. Arch Coal has agreed to implement a series of inspections, audits and tracking measures to ensure treatment systems are working properly and that future compliance is achieved. The company is also required to develop and implement a compliance management system to help foster a top-down, compliance and prevention-focused approach to Clean Water Act issues. Under the settlement, $2 million of the $4 million civil penalty will be paid to the United States and the remaining $2 million will be divided between West Virginia, $1.84 million, and Kentucky, $160,000, based on the percentage of alleged violations in each state. Based in St. Louis, Missouri, Arch Coal contributes about 16 percent of America’s coal supply from 11 mining complexes in Colorado, Kentucky, Utah, Virginia, West Virginia and Wyoming, with more than 160 million tons of coal sales in 2010.